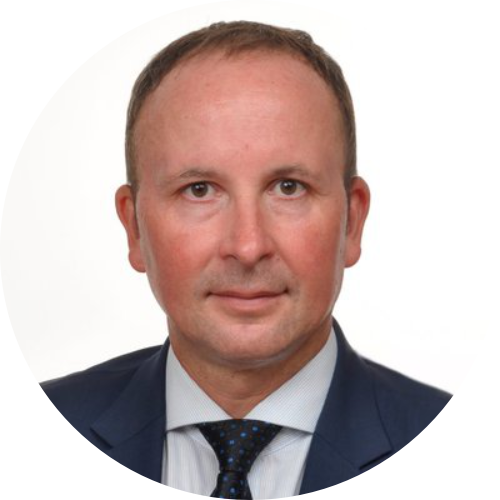 Tadej Sapnick is director at Tolar HashNET, Chairman at Eunex - Euro Asia Exchange, Principal at European Blockchain Hub and Council member at Circular Change platform. He is a former State Secretary of the Office of the Prime Minister of the Republic of Slovenia, initiator and signatory of Feel the future declaration: Initiative Blockchain Europe, actively involved in promotion, development and smart regulation of circular economy, blockchain and distributed ledger technology for achieving Sustainable Development Goals at national, European and global level. After he graduated from the Faculty of Mechanical Engineering, University of Maribor, he was working in the National Assembly of the Republic of Slovenia as a secretary of deputy group from 2000 - 2004. From 2002 - 2006 he was also a board member of the Financial Fund for Decommissioning of the Nuclear Power Plant Krško as a representative of the Slovenian parliament. From 2004 - 2009 he was director of the Youth Centre of Dravinja Valley - one of the biggest youth NGOs in Slovenia, especially in the field of youth mobility projects with EU and Mediterranean countries. In 2009 he became a member of the National Assembly of the Republic of Slovenia and was a member of the following parliamentary committees: for defence, social affairs, agriculture, supervision of secret services and European affairs. As parliamentarian he proposed a law on social entrepreneurship which was accepted in April 2011. In January 2012 he became a director of INEA institute for South East Europe. He was the initiator of establishing the Slovenian national Social enterprise forum in December 2011, and in January 2012 he was elected to become its secretary general. From February 2013 - October 2014 he was working as a political advisor in the European Parliament. Since april 2015 he is a member of European Commission Expert group on social entrepreneurship (GECES) as representative of Republic of Slovenia.